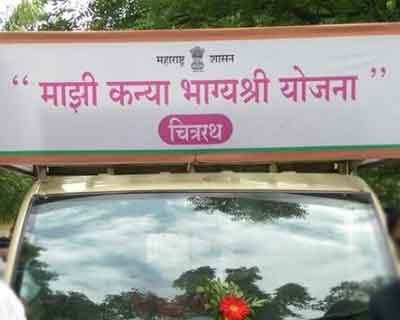 MUMBAI: In a bid to achieve its objective of improving the skewed girl child ratio in Maharashtra, the state government relaunched its “Majhi Kanya Bhagyashri” scheme. The scheme was relaunched at all district headquarters with the guardian ministers handing over certificates of encouragement to couples, who have registered under the scheme. In April last year, the state government had launched the scheme, in place of the “Sukanya” scheme, initiated by the erstwhile Congress-NCP government in the state. However, it had failed to gain momentum in its implementation largely due to lack of public awareness. This relaunched initiative is a mix of “Sukanya” scheme that was implemented in February 2014 and Centre’s “Beti Bachao, Beti Padhao” scheme implemented the same year. Minister Pankaja Munde, who was divested of Water Conservation portfolio in the recent cabinet reshuffle, has focused her attention on the scheme and plans to implement it on a mission mode across the state, for which she had enlisted support of her cabinet colleagues and guardian ministers. An official in the Women and Child Development department said that the government intends to take the scheme to the village level through massive public awareness programme. “The scheme is broadly divided into two parts. One in which the couple has gone for family planning operation after the birth of the first girl child and second category is for couples going for the family planning operation after the birth of the second girl child. However, the scheme shall not apply for couples having one boy, one girl child,” the official said.